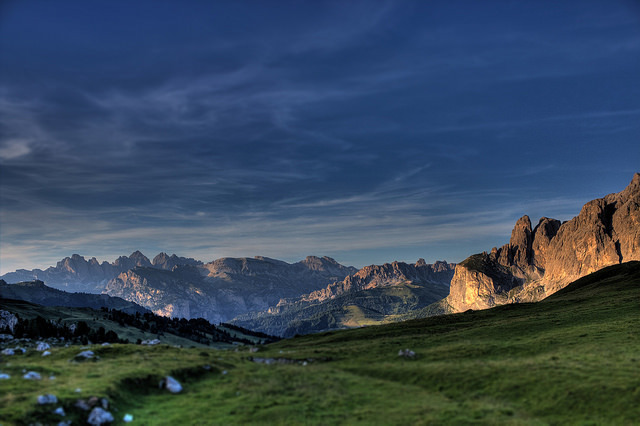 The Sella Pass isn’t a South Tyrolean landmark, after all. The Pass is located east of Bozen and connects the valley of Gröden with the valley of Fassa. 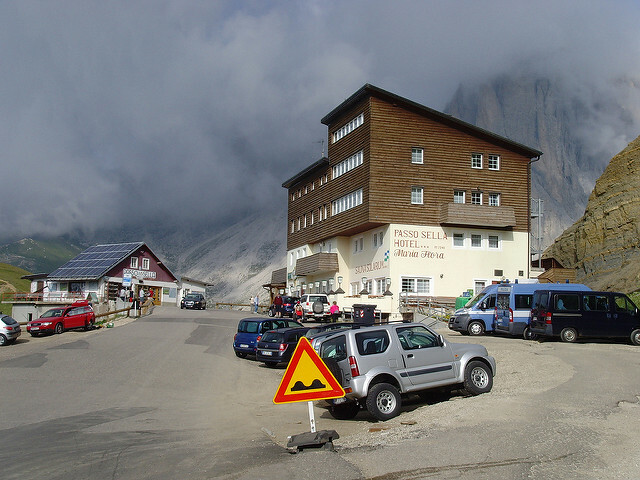 The highest point of the Pass is at 2.218 m above sea level and for South Tyroleans just one of many Passes crossing their region. But: For motorcyclists, the Jëuf de Sela is a marvellous place! By the way, that’s the name of the Pass in Ladin. So before talking about the Pass and the news around it, just a quick sidenote about Ladin and South Tyrol: South Tyrol is a region in Northern Italy and multilingual. People here speak three languages (not everyone speaks all of them, but there are three languages which are being spoken by different groups): German, Italian and Ladin. The first two languages, well, no need to explain them – but Ladin, compared to them, is almost exotic. The third language group, the so called Ladin of the Dolomites, is being spoken today by 30.000 people and is part of the same language group like the retro roman languages in Switzerland. 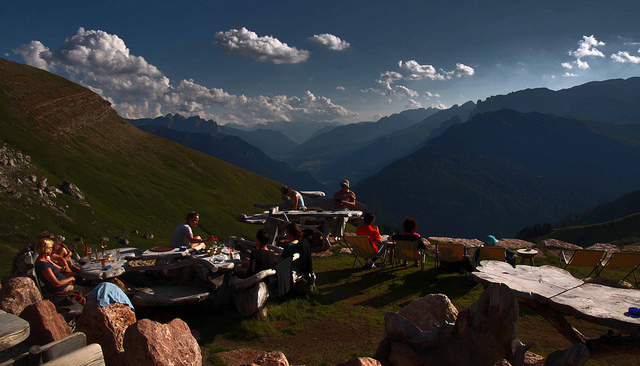 Ladin ist one of the oldest languages in the whole Area of the Alps and Northern Italy. In South Tyrol there are two valleys where Ladin is being spoken: The valley of Gröden and the valley of Gader. Therefore, it could be nice to at least know what language people speak when passing by. 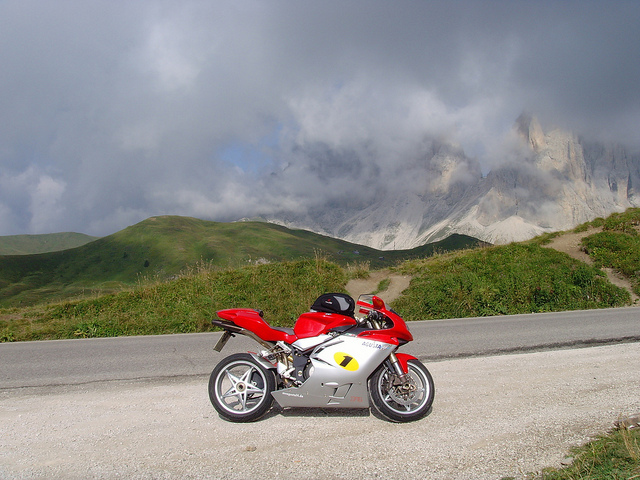 Motorcyclists who love motorcycling tours in Italy and South Tyrol and like mountain streets, generally know and love the Sella Pass – for various reasons: The pass goes through the mountains of Sella and the so called group of Langkofel on a whole length of 53,8 km. The specialty of this pass are not only the curvy road and the breathtaking view but also that in winter motorcyclists are replaced by ski-tourists: The area is part of Dolomiti Superski, an over regional net of ski-regions, and you can surround the whole mountain on the ski slopes on both sides. Now comes the BUT. The love of motorcyclists and tourists in general is also a little disaster at the same time – not for men, but for nature. The region is under high exposure due to the many motorcycles, cars etc. driving up the mountain and down on the other side of the valley every day. And that’s why this year will be different. All you motorcyclists, take a note: In July and august, the Sella Pass will be closed each Wednesday for all motorized vehicles from 9 a.m. to 4 p.m.! The good news: You can make wonderful hiking trips, take the bus and stop at one of the restaurants and simply enjoy the scenic view once without your bike – and it will still be awesome. Of course, the region will offer cultural and culinary entertainment, it won’t get boring at all. “This way we will reduce our CO2-emissions and will thus contribute to safe and preservate the sensitive nature- and mountain-world here, which is also under protection as an area of world heritage by UNESCO. It’s our duty to act responsibly”, says the environmental territorial counsellor Richard Theiner to the online newsmagazine stol.it. We can promise you this: A motorcycle tour to South Tyrol is worth the journey in every case – no matter if you cross the Sella Pass or not, there are so many other options. If you have doubts, you can just sit down at Bozen on the fruit market and enjoy an aperitivo in the sun, until you know where you wanna ride the next day. 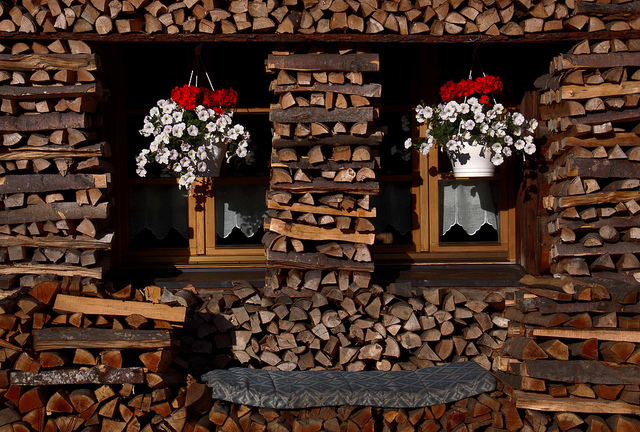 Look for trips in South Tyrol on RISER App in the “Discover” section and see what areas others have marked as beautiful!